I spent the last 10 months at a small desk on the third floor of our house in London, sitting in front of a computer screen. I was committed (and probably should have been committed) to writing a book about corporate culture, a concept that I have been studying and consulting on for the past 35 years. It was time to synthesise all I had learned, or thought I had, into some coherent and cogent words, paragraphs, chapters and sections. 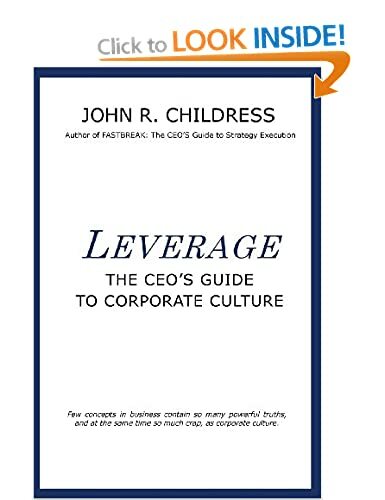 The result is a new business book for CEOs, business executives and owners, and government officials, LEVERAGE: The CEO’s Guide to Corporate Culture. I knew I had the grit and gumption to write this book since I have written three other business books and four thriller novels over the past 17 years. 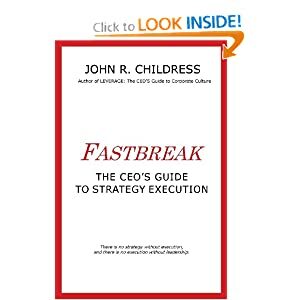 But this topic, Corporate Culture, is one of the most talked about yet least understood in today’s business world. Every where you turn there is an article on corporate culture and everyone has an opinion as to what it is, why it’s important, and how to change it. I had some opinions, but I also had lots of hands-in experience with many global organizations and wanted to dig back into my 35 years of business consulting, put traditional ideas together in new ways and make new discoveries where previously I may have missed some real insights. Few concepts in business contain so many powerful truths, and at the same time so much crap, as corporate culture. The book is now available on Amazon as a paperback, and also as an e-book (Kindle), but is it any good? Does it provide real value and useful insights? (Don’t ask the author, it’s always a big YES). An independent review is what all authors want, and dread at the same time. This entry was posted in consulting, corporate culture, John R Childress, leadership, Organization Behavior, strategy execution, the business of business and tagged Apple, Bob Diamond, Carly Fiona, CEO leadership, Corporate Culture, DNA, Hewlett-Packard, HP, JetBlue, leadership, Leverage, Netflix, The Economist, Wall Street, Walmart Way, Zappos. Bookmark the permalink. Congratulations John, just getting your book reviewed by the Economist is an achievement in itself.